Small Business Saturday is back on Saturday, November 24th. 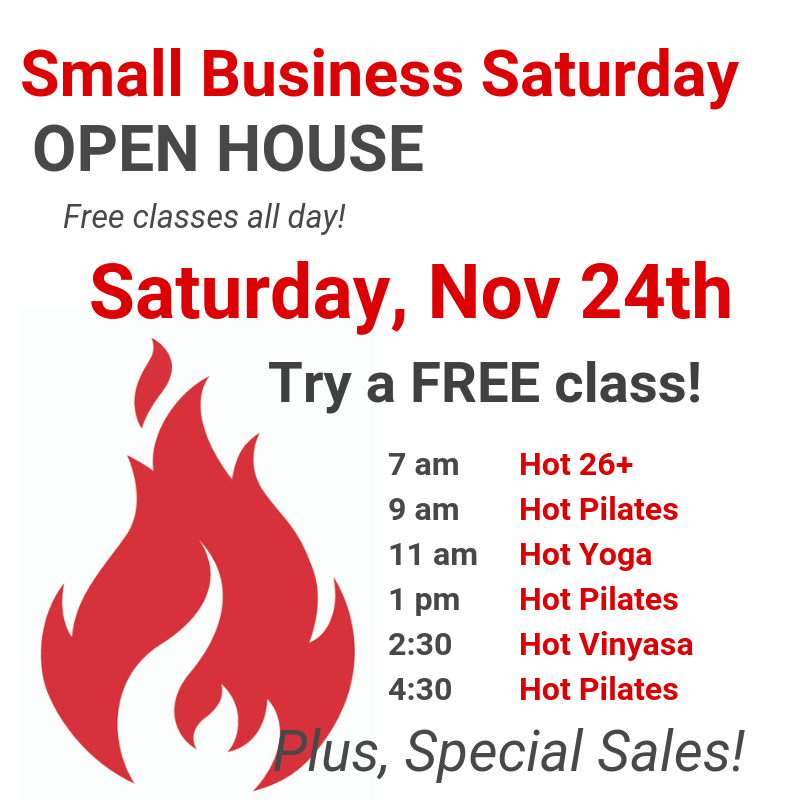 Join us for free classes and special sales the Saturday after Thanksgiving! We love you all so much and can’t wait for the opportunity to show our gratitude to this amazing yoga community by offering free classes for you and your friends and family and special discounts on yoga and accessories. Save your spot in the free classes below!